WOW! Women On Writing Blog: Is E-publishing Helping or Hurting Authors? I don't think the rise of ebooks has completely changed how people read. The majority of the population does not have tablets. Even many of those who do actually prefer physical books. I once saw the results of a survey of users on a gaming site--young people who spend hours each day on a computer, so just the sort you'd expect to love ebooks, right? Nope. I expected the dominant answer to be "I don't read," but it was actually "I only read paper books." That's why publishing in paper is so important. And if you have a publisher to do it for you, terrific. The problem is that if you self-publish, like I do, the costs of printing can be prohibitive. It's a lot of work to format a physical book. And then you have to price it much higher than your ebook to make any money. I had to price my 80k YA novel at $11.99 just to make 60 cents per copy...whereas I can price the ebook at $4.99 and get 3 bucks each with 70% royalties through KDP, PubIt!, and Kobo Writing Life. And then people don't buy many copies online. You have to get them into bookstores, and most will just laugh in your face if you show up to negotiate without a big publisher behind you. My world has been in the magazine industry working as a freelance writer. This foray into fiction and writing a novel is new to me. Articles like this, and the comment above, are so educating for me. I read with eyes wide open. It certainly is a new game out there, but the dream of producing a book-- cover, pages, a shelf space at a bookstore--is an aroma I can't quit thinking about. Thanks for the information. I agree completely. E-publishing plus POD (print-on-demand) is the only model likely to survive the great publishing shakeout. If the big NY publishers don't get a clue soon, they will be eclipsed. @T.K. I think you're right, and yet the statistics show that ereaders have changed the way people read. Regardless, I agree with your point about the importance of paper! @Julie. Thanks for your comment! Good luck. And thanks for your comment, too, @Lorna! I think sometimes we get so caught up in "the newest trends" because we hear the Cinderella stories--someone who was making less than $5000 a year freelancing and trying to sell their manuscript to an agent or publisher and then they took control of their destiny, self-published e-books, and are making six figures. (I actually know someone who did this!) However, we must look at the facts which is what Brooke is helping us do here. My friend writes YA paranormal, is a marketing genius, and has two series with the start of a third. Her audience LOVES ebooks, buys impulsively and quickly, and doesn't have a lot of money (teenage girls!). However, my book audience currently is middle-grade readers, their parents, grandparents, and teachers--this is not an ebook audience, and I would be silly to publish ebooks only. As a matter of fact, my small publishing company doesn't do any ebooks for the kids books yet. 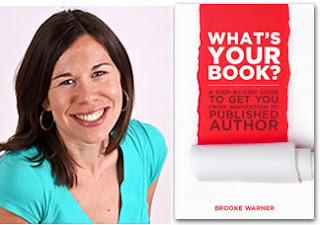 I feel like I am rambling. . .what I am saying is Brooke has some great points about looking at your audience and your reasons why you want to self-publish ebooks. 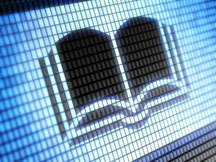 Make sure your readers will want ebooks and be able to read them! :) Whew, I think I need a nap! Ha. Thanks Margo! I appreciate the support! I agree that you probably need both, but I also agree that a print book can be cost prohibitive for some authors. As for ereaders/tablets changing people's reading habits - I don't know that it has changed mine, EXCEPT I sure am willing to take a chance on a book that sells for 99 cents or is free. I may not have taken that chance if I had to buy a print copy. I have to respectfully disagree. In my experience e-books are the bread and butter of my income, and I keep producing paper copies out of a desire not to lose my fans who haven't switched over. I have a certain loyalty to paper books, you might call it nostalgia, but when it comes to royalties? For every $100 I make from paperback I make more than $2000 in royalties from e-books. If it was a strictly a business decision I wouldn't produce paperbacks. The pay out just isn't there.